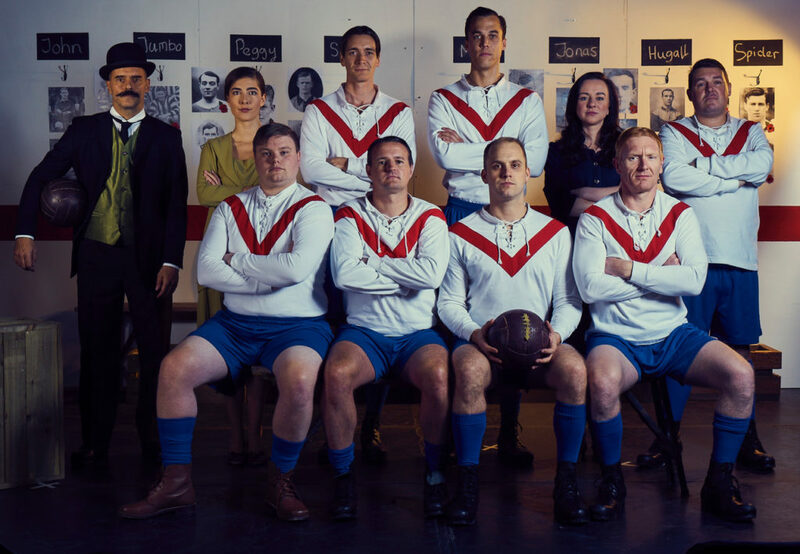 Based on the book ‘They Took the Lead’ by Stephen Jenkins, The Greater Game is a play written by Michael Head and directed by Adam Morley that follows the true story of the players of what was then called Clapton Orient football club, who as a team fought together in WW1. The production serves as part of the commemorations for the centenary of the end of the Great War as a portion of the ‘Football Remembers’ project. The backdrop on the stage hosts a number of pictures of the real men involved in the story, each with a small poppy attached to the frame which is both symbolic but also a little confusing given the context of the majority of the play being either before or during the war. This gave the feeling that the design and directorial concept of the piece as a whole wasn’t fully realised. Whilst it is clear what the intention was behind certain decisions, it felt at times a little unfinished and could definitely have gone further. This at times felt like it took away the impact of the story, which in itself is incredibly touching, rather than serving it. Whilst the acting in general was of a decent standard, it was often let down by some of the character’s accents which needed to be a little more refined. It is incredibly important that such a story as this is told on a theatrical platform, and it is indeed presented with a great deal of respect and sensitivity. This was evident particular with the actors who, by playing characters based on real people, wished to portray them as realistic as possible. It is a story which must not be forgotten, and this is always alluded to throughout the piece. 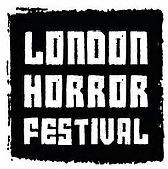 Comedies and horrors are really challenging genres to do right and when you mix them together to create a horror-comedy there is a lot of space for it to go wrong. But, in saying that I felt ecstatic that Waking the Walking Dead was a brilliant performance. I thoroughly enjoyed this production from start to end. Waking the Walking Dead grabbed you from the moment you entered the space. Stuart Vincent is evidently a very talented director. Vincent directed a wonderful cast and achieved a really enjoyable performance – a joy to experience. With a colourful palette of characters, Vincent and the cast transported us into their wacky world. What was really enjoyable was that this production takes the zombie apocalypse story but brings us the characters you don’t normally see in this kind of tale. I really loved that the protagonists were Martin; a gay maths teacher played by Steven Bush and his student played by Sarah Day. Together Steven and Sarah were a dynamic duo. From the moment Steven boldly burst through a door to enter on the stage I was sold. Both actors throughout the piece bounced off each other; in fact, the whole cast really worked as an ensemble with Joe Johnsey and Elizabeth Lloyd Raines adding their own dilemma and chaos as their characters. Every cast member brought a new energy to the stage. Joe Johnsey as the dashing ‘military’ trickster added a fun chaotic energy to his scenes. His character was brilliantly written and performed. On the other hand, whilst I commend Elizabeth Lloyd Raines for committing and delivering a strong performance as the crazy survival girl; the writing of this character was a bit off for me. There were points which I couldn’t connect to her existing within this world. However, as the character began to become a bit less like she was on a serious episode, and became more human, I started to warm more to her. Of course, the play’s success was aided by the simple but effective set by Francis White. We were ably to transported into this world by having a few pieces of newspaper spread throughout and a sofa centre stage. Minimalistic but it worked. Furthermore, the costume added little character moments that further immersed me into the action. The only aspect of the performance that I felt let down the smoothness of the piece, was the blackouts between scenes. I think the writer and director should explore how they can get the play to flow without having to rely on them. With less blackouts I think it would have added an extra layer to this piece. Nevertheless, silly, imaginative and fun, Waking the Walking Dead really tickled my feathers. Please keep making more horror-comedies as you all have a talent for it.